Snowskates are exactly what their name implies, skates for snow. Skating style is same as in ice skating and roller skating. If you can skate with those, you will learn snowskating with Sled Dogs quickly. Sled Dogs snowskates are similar to ski boots. 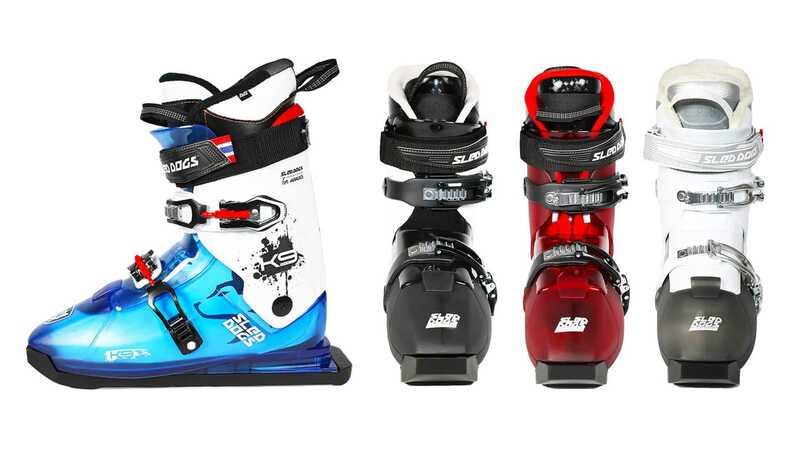 There are blades on bottom of boots, with same principle as in skis or snowboards. This makes possible to move fast and smoothly on the slope. Everything you can do with skis and snowboards, you can do with snowskates too. Sled Dogs is an unique Norwegian brand for winter sports. Behind the snowskates are brothers, Ronny Paul Gydar and Tommy Einar Gydar Syversen.